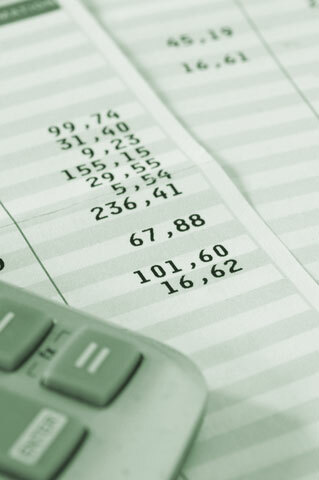 If you’re a small business in the Telford area with less than 20 employees, Lady of Ledger Book Keeping can process your wages and salaries for you. We pride ourselves in offering an excellent service. We can help with your Auto Enrolment obligations, produce your payslips and ensure you remain compliant with both HMRC and The Pensions Regulator. Many businesses do this for themselves, but for every month that the HMRC RTI Submissions are late, it will cost the business a penalty of £100. Also, with Auto Enrolment Workplace Pension - if it’s proved that you’ve not been compliant – it’s a £400 penalty for each month this continues. It can work out much better value to have Lady of Ledger Bookkeeping take on this responsibility for you, and allows you to keep penalty and stress free. If you act as a Contractor, using Sub-Contractors to assist with your Customer work, you’ll need to operate under the Construction Industry Scheme (known as CIS). Lady of Ledger Bookkeeping can carry out the verifying of sub-contractors, advising of their deductions, reporting these to HMRC on the monthly return and issuing of the certificates to your sub contractors. All of these tasks carry heavy penalties if they’re not carried out, so passing this task onto Lady of Ledger can allow you to get on with the work that you’re good at, and not have to worry about the work you probably really don’t enjoy. If you’re a Company with employees and also work for a Contractor that withholds CIS Deductions from your invoices (CIS Suffered), Lady of Ledger can – via your payroll processing - ensure your CIS Suffered is offset against any PAYE liabilities, so that you don’t have to wait until a new tax year to claim these back. Why not drop Lady of Ledger Bookkeeping an email on info@ladyofledger.co.uk now to find out how much this might cost for your business. Please let us know how many weekly/monthly paid staff you have and/or how many sub-contractors you regularly use.